Fabricworm Giveaway! 2 Yards of Just For Fun Organic Knits! Another week starts, and therefore so does another Fabricworm Giveaway! This week we're giving away 2 yards, winner's choice, of Just For Fun Organic Knits! And check out the Just For Fun Collection here. I'm on a bag making kick, so I'd make some little wallets and bags for kids and friends! I so want this fabric! Would be awesome for a clutch I'm thinking of doing as a gift! Very cute fabric - haven't worked with knits before, but this would be fun fabric to start with! I'd make some clothing for my baby! oh i adore this!!! i would use it to make a baby quilt for a friend of mine!!! I would be making some clothing for my youngest daughter! Such cute fabrics! Some cute clothes for the baby! Clothes for my 3 granddaughters. They love the comfort of the knits and their moms love the no ironing part! I've never done anything with knit- but I'm thinking maybe some baby clothes! I'd love to use these to make clothes for my little girl...or her dolly! I would love this fabric to complete some projects for the kids. They need some throw pillows for their reading nook. This fabric would be perfect! I would love to make a cute quilt out of this for my kids! they would make some neat things for my boys. . . maybe a cuddle blanket for the baby. I'd make a fun stuffed animal! The bright colors would look great as part of a quilt! I would make something for my cute granddaughter or maybe baby toys for my new great grandson..
Make something for at least one of the new babies that will be arriving soon, everyone I know is pregnant! Oh I love these knits! I'd make clothing for the new baby on the way! Cutest fabric! I love making stretch headbands with knit. These would be so cute. I'm not really sure what I would make, probably a jumper for my daughter. I just LOVE knit fabric. I'm so glad more companies are coming out with organic cotton knits. I get tired of single color organic cotton knits. Yay for variety! Love the fabric. I would try a knit top. I haven't tried any knits yet. I would love to make something for my friend's baby boy! Oh Man! I've been oogling this line...here's hoping! oh i love knits! fun for tops and tees! Skirts! I've never worked with knit but want to try. Super cute knits. It would be fun to make some PJ pants or shorts for my boys. Those fabrics are adorable and I love working with knit fabrics. I would make tops for my two children or maybe a funky colourblocked dress for my DD. I don't know if it's fat quarters or yardage, but either way, this would be my first time with organic knits. I'm really into making layering tees and comfy leggings right now, so I think that's what these fabrics would probably become. Love these knits! Some zip up hoodies for my boys would be fab! I want to make another great quilt pattern with my new software and this fun "boy" bundle~! Maybe even pennants! Definitely some cute leggings for my little one! I'd use that camper print for an applique. I would make some pajamas for my kids! I'd make some cute things for my best friend's baby! I'd probably make some sort of cute patchwork dress for my girl. Probably a cute little dress. What a great give away! I would love to win and make some cute shirts for my little girl! such cute fabrics! I'd use them to either make or embellish (pockets and hood lining) hoodies for my boys. 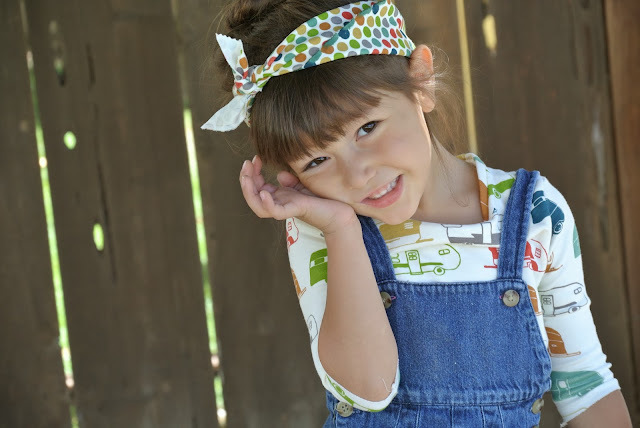 I love this give away, and I would make some cute shirts for my little girl! I'd make pajamas for son! My youngest granddaughter is in love with the mustaches....a pillow for her for sure. I would make a tote and matching wallet. Thank you for the chance to win. Baby girl Willow is due in three weeks! I would love to make up some soft organic burp clothes or snuggle blankets. Thanks for the opportunity! I am due with my first child (little boy) in 2 months. How cute would these fabrics be in little onesies?! Thank you so much for a chance to win this adorable fabric. I would make t-shirts and some tunics!! Would LOVE to make my boys some cute tees with this knit! The patters are adorable! Perfect for a little girl dress for my daughter! Thank you! Would love to make some cute tees for my boys with this knit! The prints are adorable. I would love to make some clothes for my kiddos with this line- adorable! i'd love to use them to embellish some of my kids new clothes i'm sewing! Fun! I'd do pillows or sheets. I would make a dress for my little girl. The fabric is beautiful. I recently made some baby blankets with some cute knit fabrics. Would love to make some for my upcoming new addition. I'd make tees for my kiddos! so fun! i'd make pillows/sheets or clothes for our little boys! I would love to make a blanket for my baby boy! I would probably make a baby blanket for a friend who is having a baby boy very soon!!! Love these! They'd make a couple of great outfits for my daughter. I need to make a bunch of baby gifts and this would be perfect! My cousin is expecting and she loves elephants -- this would be perfect for her! Definitely some cute tees for my little toddler! I have a new nephew on the way and have a laundry list of stuff I want to make him! I'd make some raglan t-shirts for my kiddos! Super cute fabrics. I would love any of them. I don't know what I would make! But it would be cute! i love this collection so much! i would make a cute outfit for my son! I've always been a little afraid of knits - but what better way to start than to jump in with these gorgeous knits! I'd love to make my gorgeous niece a bateau top. I love this fabric and would love to make some nice things for 2 lovely granddaughters with it. Cute clothes for my boys! Some clothes for my little boy! So cute. I haven't tried knits yet! I would love to branch out and try dresses for my little girls- love the fabric! I can't wait to get these fabrics and make something fabulous for my son. Not sure what I'd make-maybe pillowcases! Thanks for another fabulous giveaway. I would make something for my friend's daughter! Hi,such cute knits! I think making little shirts for little kids would be so neat! Thanks for sharing! Im making pjs for my kids! Thanks! Very cute! I might make little girl skorts! I'd make layette sets for my twins, due next March! Make shorts for my babies. I'd make some baby clothes! I would make a cute skirt for my daughter! Beautiful fabric! I would use these in a quilt I'm getting started on for my daughter! So much fun! Cute knits are hard to find sometimes. These are adorable! some receiving blankets for the newest granddaughter! These would be great for baby gifts! These would be perfect for my newest little baby.... I'd probably piece them and make a QAYG diaper bag! So adorable! Perfect for a pair of ruffled yoga pants for my little girl!!! Thanks for teh chance to win some!!! I'd make some headbands for my twins! I would use the fat quarters for making something simple like a Pillow, Doll Clothing for my daughter, or simply be experimental with my accessories! I am new and looking to build a stash of fabric and this would be a beautiful addition! Thank you! Maybe a cute little tee shirt dress for my DD. I'd make some cute kids stuff for my cute kids! I would make two bags for my kids ! I'd make something for my baby. Cute fabric! I LOVE these fabrics. I already have some in the organic cotton! Would love to check out the knits. I would love to make a blanket out of one of these! Cute fabric... I've never tried sewing with knits before, but I'd love to try!! Thanks for the chance! I love all of these fabrics. I would make bibs for my new babe. Oh my best friend is having her first birthday so some leggings, tops and little suits would be PERFECT from these gorgeous knits. I love these fabric patterns and the colors! I would use them to make cute baby burp cloths. Time to learn to make knit t-shirts! Probably will make a romper for my nephews! I don't find cute fabric for them very often! I just got a really cute pattern for a patchwork dress for girls. I think I would try it out with these! LOVE the bicycles. My husband is a custom bicycle fabricator, and I see a new pair of boxer shorts (or two) in his future if I win! Little t-shrits and leggings would look awesome with this fabric. Tshirts for the kids! This is such great fabric! I would love to make a patchwork t-shirt or skirt for my daughter! Adorable!! Would make the sweetest girl's tunics. I would love to win! It would make t-shirts for kids! Hmmm... i'm not sure.. i'd hoard them for a bit first.. ;) Then maybe a QAYG tote bag or something fun!! I could use these to enhance the memory quilt I'm making for my grandson from his mommy's favorite infant clothes!! I would make my three girlies some dresses! I would make a bag and and ipad case. Love this fabric line! I have a new grand daughter, Evelyn, & these prints would be wonderful to make an outfit for her. Oooh I love this fabric!! I would make some super cute cardigans for my girls! Well, there are a couple of little girls who would love a nice new top much like the one pictured. And, if it would make them happy, how could I say no. Thanks for the chance to win such lovely fabric. With the fabric, I'd make my daughters skirts! They love skirts. Its SOOO hard to find nice knits in my area. I would use these to make some cute clothes for my toddler. I would use the bundle to make Christmas gifts for my kids and sew the baby-to-be a little canopy to protect from the cold. Coordinating outfits for my2 girls and a ruffle for me to match too! I would make my daughter 4 pairs of rocking monkey pants!!! I would make a quilt for my new grand baby due in February! I'd love to have these yummy organic knits!!! I've just started getting into knits and love making clothes for my kids so would probably make either a dress for one of them or shirts for both. I LOVE this line! This would make a great comfy t-shirt or pants for my kids. I love the trailers! Knit shirts out of that would be darling. I haven't worked much with knits, but I'm sure I can manage some fun making something adorable for my little man. I have a new granddaughter and I'm sure these knits would go into something for her. If I won the comp I would make some gorgeous clothes for my two handsome little boys.